Jonathan M. Tisch is Co-Chairman of the Board and a member of the Office of the President of Loews Corporation, one of the largest diversified financial holding companies in the U.S., and is also Chairman and CEO of its subsidiary, Loews Hotels & Co.
During his tenure as Chairman and CEO of Loews Hotels & Co., Tisch engineered the company’s expansion and emergence as a leading luxury hotel brand by infusing the properties with a widely praised corporate culture that places a high value on partnerships that empower employees, satisfy customers, contribute to communities and improve the bottom line. Tisch initiated the Loews Hotels Good Neighbor Policy over 20 years ago, the first of its kind in the hospitality industry. Today, the Good Neighbor program underscores his enduring commitment to good corporate citizenship, social responsibility and the health of our environment and communities. The Loews Good Neighbor Policy is a recipient of the U.S. President’s Service Award. Believing you can do well and do good at the same time, Tisch is a champion of corporate responsibility and has devoted a lifetime to active citizenship—an idea that uses the power of partnerships and grassroots participation to solve seemingly intractable problems. The author of three bestselling books, Tisch has written extensively about his leadership philosophy, the customer experience and civic engagement. They are The Power of We: Succeeding Through Partnerships; Chocolates on the Pillow Aren’t Enough: Reinventing the Customer Experience; and Citizen You: Doing Your Part to Change the World. 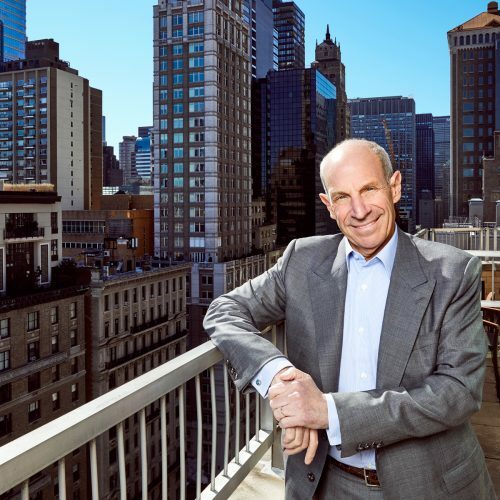 Tisch was also the host of the Emmy-nominated television series, “Beyond the Boardroom with Jonathan Tisch,” where he spoke with some of America’s preeminent CEOs and business luminaries in one-on-one interviews. Viewers discovered that business is about more than just numbers, rather, it’s the successful combination of people, hard work, guts and imagination. Widely recognized as a passionate advocate on behalf of the multi-billion dollar travel and tourism industry, Tisch works tirelessly to educate elected officials and the public at large about the industry’s significant economic, social and diplomatic contributions. He founded and served as Chairman of the Travel Business Roundtable until 2008, and now serves as Chairman Emeritus of its successor organization, the United States Travel Association, the national non-profit association representing all segments of the travel industry. He is committed to a vibrant tourism industry in New York City, where for nearly six years he served as Chairman of NYC & Company, the city’s official tourism marketing agency and convention and visitors bureau. Concurrent with his national efforts to help stimulate travel and tourism in the aftermath of September 11th, Tisch served as Chairman of New York Rising, a task force committed to reviving tourism and the economy in New York City.